A selection of previously unpublished material by Basil Hume to take the reader through Lent. The title comes from Cardinal Humes homily for Ash Wednesday 1977; and it is a theme which reappears frequently in his writing and preaching, particularly in his Lenten addresses. This selection of previously unpublished material by Basil Hume takes the reader through Lent, from Ash Wednesday to Easter Sunday, with a reading for each day, a reading from the Lectionary and a prayer based on the liturgical texts. A Turning To God by Cardinal Basil Hume was published by Darton Longman & Todd in November 2007 and is our 11634th best seller. The ISBN for A Turning To God is 9780232527018. Basil Hume was much loved by people of all denominations during his lifetime. His books were best sellers and many gained immensely from reading them. Here then is a real treat: a book of readings for the season of Lent taken from previously unpublished homilies, talks and addresses during his twenty years at Ampleforth Abbey. 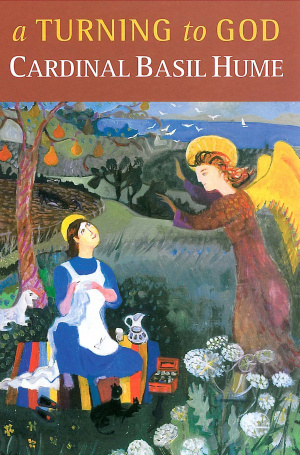 Thanks to the work of the Ampleforth archivists and the compiler Patricia Hardcastle Kelly we have a book suitable for all Christians, published in good clear print which will help those with poor sight, and will delight and touch the hearts of all who read it. Got a question? No problem! Just click here to ask us about A Turning To God.